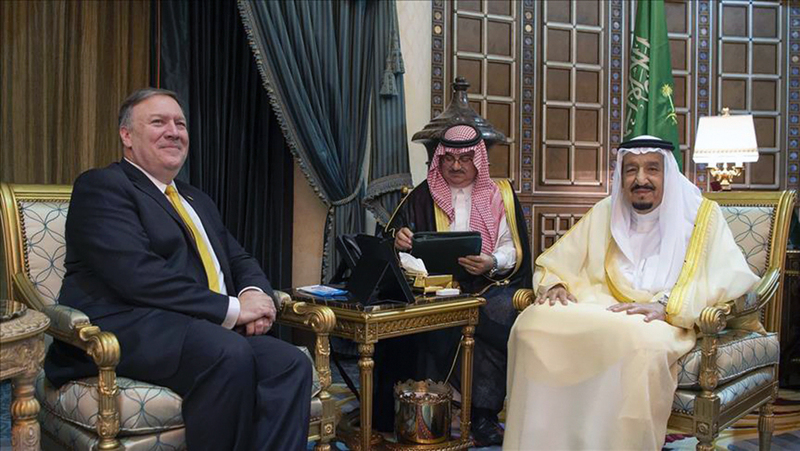 Saudi Arabia's King Salman met with US Secretary of State Pompeo, who visited his country to discuss the disappearance of the Saudi journalist Jamal Khashoggi. Can Pompeo save the Saudi crown prince? U.S. Secretary of State Mike Pompeo visited the Turkish capital, Ankara, after a brief stop in Riyadh, Saudi Arabia earlier this week. On the surface, his goal was to monitor the developments regarding the murder of Jamal Khashoggi, a Saudi journalist and dissident who was last seen entering the Saudi Consulate in Istanbul on Oct. 2. Many believe, however, that Pompeo is looking for a way to distance Saudi Crown Prince Mohammad bin Salman (also widely known as MBS) from the scandal. Photographs taken during the two men’s meeting in Riyadh support that claim. Having served as director of the Central Intelligence Agency in the past, Pompeo was an interesting choice for the task at hand. U.S. President Donald Trump’s firm commitment to the “rogue killers” theory, too, suggests that the administration desperately wants to salvage its relationship with the Saudis. Yet some members of the Saudi death squad, who arrived at Riyadh’s diplomatic mission in Istanbul on Oct. 2, were apparently quite close to the crown prince – which makes it difficult for him to protest his innocence. It is not enough for Pompeo to say that he trusts Saudi officials. As new evidence surfaces, the Saudis are digging themselves into a hole too deep for Pompeo to rescue them. It would appear that Trump won’t change his position until he can no longer defend Riyadh. The public debate on Khashoggi, which will seemingly continue until the midterm elections next month, makes it impossible for the administration to avoid talking about MBS’ political future. The main question is whether the crown prince, whose image has been severely tarnished in recent weeks, can rule Saudi Arabia for the next four decades. It does not exactly help that dissidents within the House of Saud have been severely repressed and, without Washington’s consent, are unlikely to take action. Under the circumstances, MBS will resist at all costs in an attempt to survive the Khashoggi affair; yet, the incident seems to have already deprived him of the legitimacy he needs to lead the Arab people in the long run. At the same time, Pompeo’s visit to the Turkish capital was important for Turkey-U.S. relations, provided that it took place just days after pastor Andrew Brunson’s release. As the Khashoggi scandal demonstrated, the United States needs to work closely with the Turks on a range of Middle Eastern issues. Brunson’s return to the United States was significant because it eliminated a psychological barrier before rapprochement. Recovery won’t be a walk in the park for Washington and Ankara. 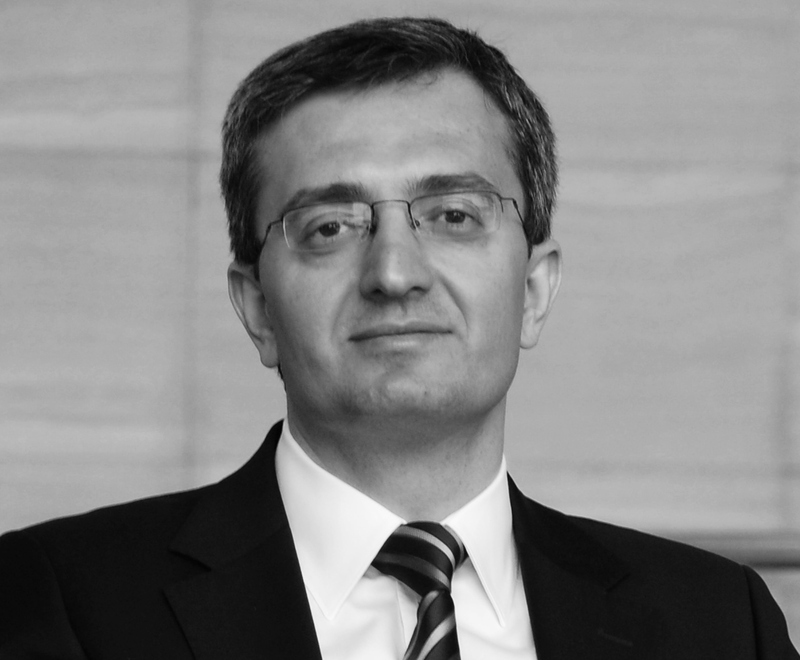 They must make progress with regard to fundamental, structural issues such as the situation in Syria, U.S. cooperation with the PKK’s Syrian branch – the People’s Protection Units (YPG), the fight against FETÖ, relations with Russia, Iran sanctions and also address secondary issues, including the continued incarceration of Hakan Atilla in the U.S. and potential steps against Halkbank. It would make things easier to take those initial positive steps without delay. Yet, a real breakthrough in Turkey-U.S. relations depends on the proper implementation of the Manbij agreement. By facilitating the YPG’s withdrawal from Manbij, the U.S. can restore some level of confidence in its relations with Turkey. It’s no wonder that James Jeffrey, Trump’s special representative for Syria, was in the room during Pompeo’s meeting with Turkish President Recep Tayyip Erdoğan. A diplomat with vast knowledge of Turkey’s priorities, Jeffrey told Turkish media that the United States is not looking to create an independent statelet in northern Syria that would pose a threat to the Turks. This was a thinly veiled response to a recent statement by Russian Foreign Minister Sergei Lavrov on Washington’s alleged goal in the Syrian theater. Considering that Turkey has successfully cooperated with Russia in Afrin and Idlib over the last year, Washington must back its words with concrete action.Implementing the Manbij agreement could set a valuable precedent. Additionally, the same model could be applied to predominantly Arab areas east of the Euphrates river – such as Raqqa. Further down the road, Turkey and the U.S. could completely transform the YPG presence there. The U.S. has notably failed to work with Turkey in Syria, where Moscow and Ankara found ways to cooperate. Provided that Washington will not just pull out of Syria, the Americans must come to terms with the fact that they cannot play a prominent role in the political solution nor contain Iran’s influence in that country without playing ball with the Turks. Nor can the YPG militants, whom Turkey has identified as a primary target in northern Syria, serve as a long-term partner for Washington, whose support for the group will prevent Turkey and the U.S. from addressing a range of structural problems between them. At a time when various countries are starting to make new geopolitical calculations, the current state of affairs could have unpredictable repercussions for allied nations.